So you know, we got one sea snail yesterday from the clam dig. Well, everything else was eaten last night except for the sea snail. It was a pretty cute and big sea snail. So since no body knows how to cooked, it created a small dilemma for me. It was pretty cute and pretty fat little sea snail. So the dilemma is that, do you kill it first by pulling it’s meat out or cook it first and then pull its meat out. wow it sounded pretty cruel. Maybe I should just let it go. But there is really no good place to put it? Make be I should just let it live out the remaining life in the little bucket, but that is also just as awful as torture. So I was going through this mental struggle. What should I do with the sea snail. Finally, I came to a conclusion. The moment we decides to keep it, there was only one road for the little sea snail and the only human way to reach the end of that road is for me to eat it. Why? because if I consume it then it’s death is not without cause. The cause is to feed my hungry stomach. I reasoned that any other way is pretty sad and suffering end for the little sea snail. So with that decision made, I drop the little sea snail into my wonderful Salmon and Sea Snail Soup. … yumm yumm yumm 😀 Oh and yeah.. I cook the sea snail whole, the meat actually came right out after cooking. And my dilemma was solved!!! 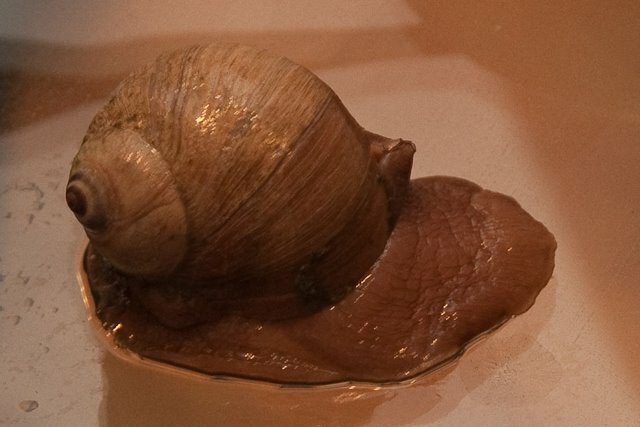 Oh… what does it (sea snail) taste like? humm a little bit tough.. very much like eating a old rubber band.